Orange You Glad You’re Home? I recently walked the floor of the Fall Home Show at the Better Living Centre, Exhibition Place, looking for some home inspiration, but what I found was much more. I’ve always loved statement orange, as it manages to make such an impact in a room without being obtrusive; often blending seamlessly into its surroundings yet still managing to spark conversation and evoke warmth in a space. So, officially fall now I thought what better time to pay homage to the shade I adore. I love it on its own as a statement wall, blended into a bold wallpaper or rug, in the form of accessories and small appliances, and always when intermixed with blue green. 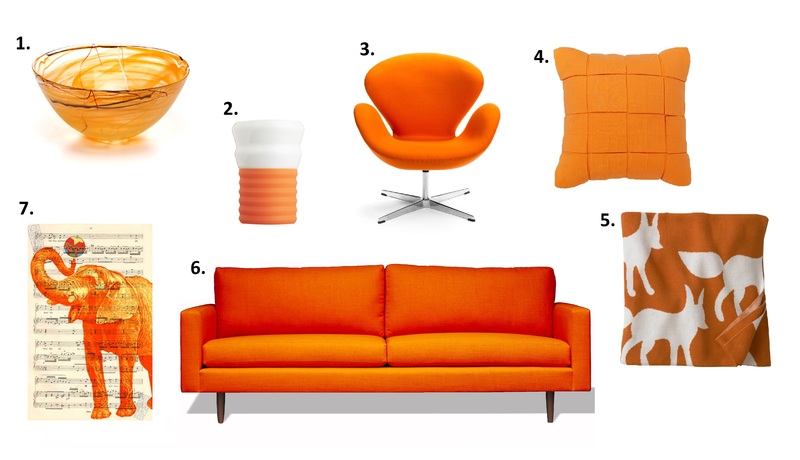 I love orange, there I said it!